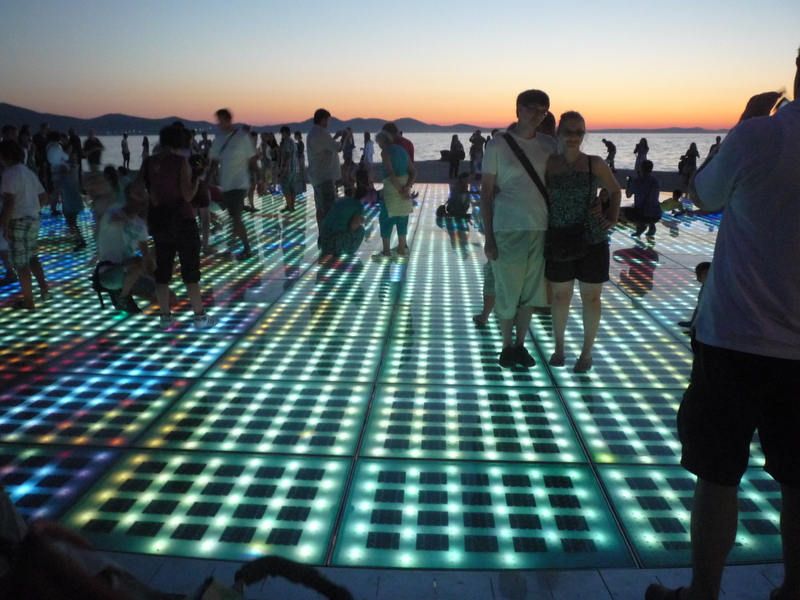 Visiting Zadar is very simple, everything can be easily visited on foot. The most interesting place is certainly the old town (inside the walls). Its several narrow streets are relatively calm during the day, whereas in the night they got crowded, with plenty of bars, cafes and restaurants. Fosa: this is a very nice and picturesque port, located just outside the wonderful Land Gate (Kopnena Vrata), a late Renaissance Masterpiece. Just above the port and the gate is the citadel and a nice park with Roman statues, a relaxing green spot. Narodni Square: it is the main square, where you can find the most relevant city buildings, such as the City Hall, the City Sentinel, the Church of St Lawrence (Sveti Lovre), all in Romanesque style. 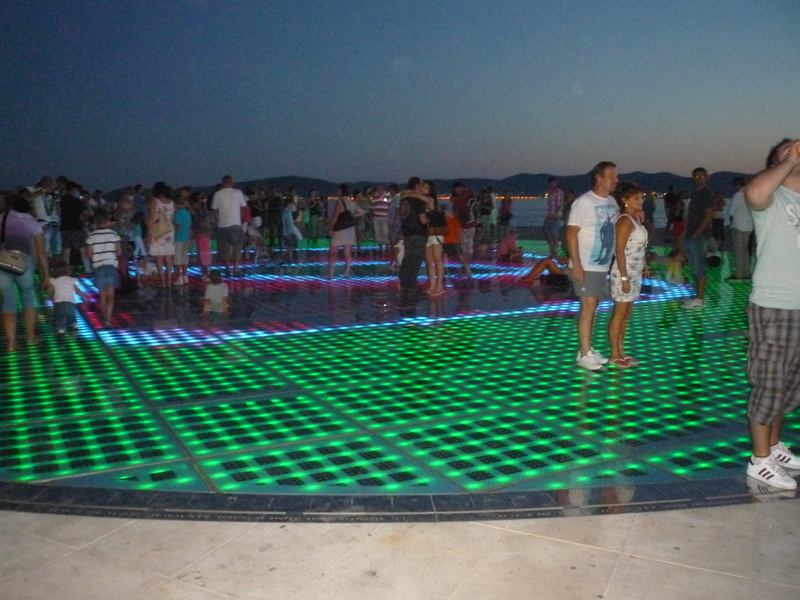 The Forum: in the history, Zadar had been invaded by the Romans, who made the city one of the main access in the Dalmatian area. You can see the Roman influence everywhere in the buildings, especially in the Forum, through the Roman columns and writings. Next to the Forum is St Donat church, you can go to the top of the church and have a nice view on the whole forum. Now it’ s time to go out of the old town, and start admiring the fantastic landscapes of the Adriatic Sea. Take a walk along the coast and then you will get to a special corner, where the Sea Organ and Greeting to the Sun are located. Make sure you are there during the sunset, the view will be amazing! Sea Organ: it consists of several stairs descending into the sea. The stairs extend for about 70 meters along the coast, under them, at the lowest sea-tide level, 35 pipes of different length, diameter and tilts were built in vertically to the coast and they raise aslant until the paved part of the shore and end in a canal (a service corridor). On the pipes there are whistles which play 7 chords of 5 tones. Above the canal there are perforated stone stairs through which the sound comes out, the air pushed by the sea. This site is a blend of human ideas and skills and the energy of the sea, a place for relaxation, contemplation and conversation while listening to an endless concert of mystic harmonies of the “Orchestra of Nature”. Split Bus Station is located near the port, in the city center, therefore any accommodation will be at walking distance. Split is surely one of most beautiful cities in Croatia. 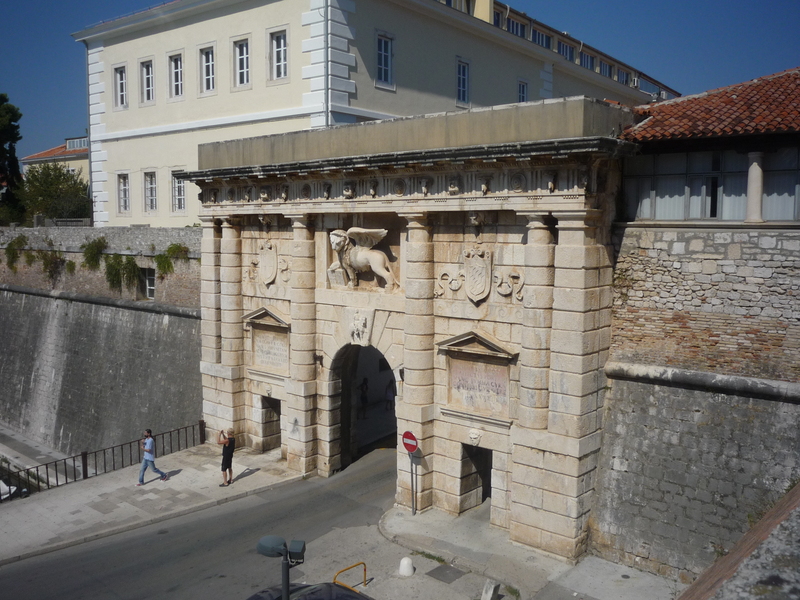 Like in Zadar, there is a big Roman influence in the architecture. Everything is located along the coast. 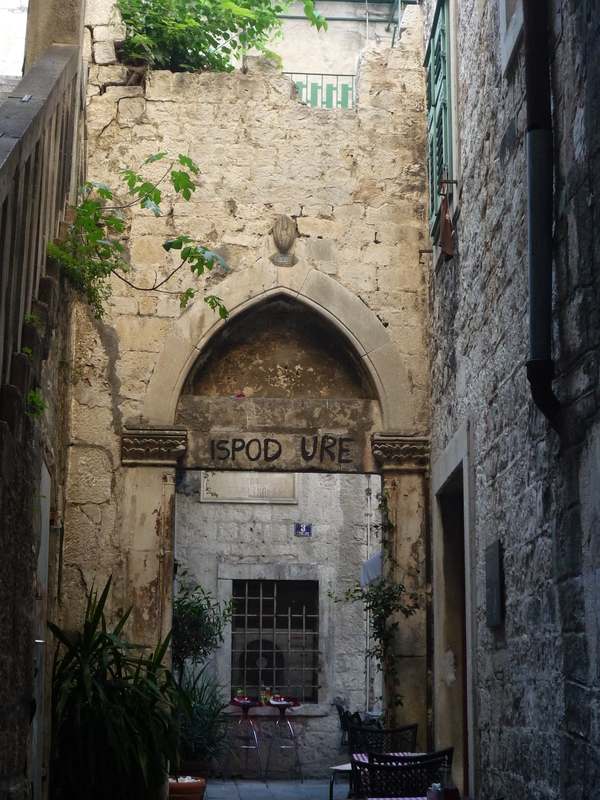 In the very heart of the city, you will find the Diocletian walls that will get you into another world. Go inside these walls and get lost in the small streets plenty of history. You will feel like living in the Roman age. Pedestrian streets, small churches, sculptures, columns, fabulous arches everywhere. 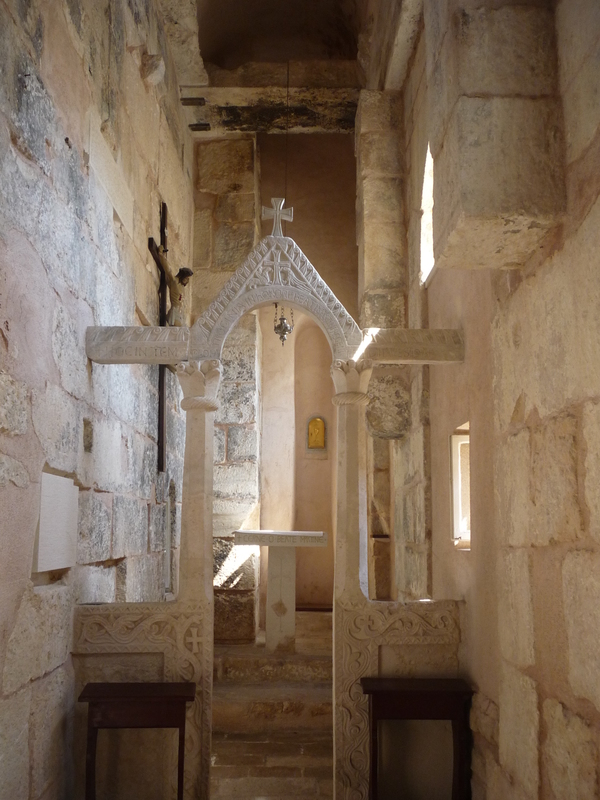 Inside the Diocletian walls you can also visit the rests of the Diocletian Palace and all its underground side. Once outside the Diocletian walls, keep on walking along the coast and you will admire the City Hall and afterwards just follow the directions to Marajan, there will be a lot of stairs to climb but it is worth the effort, because you will arrive at the top of the city and you will be able to admire the beautiful panorama. 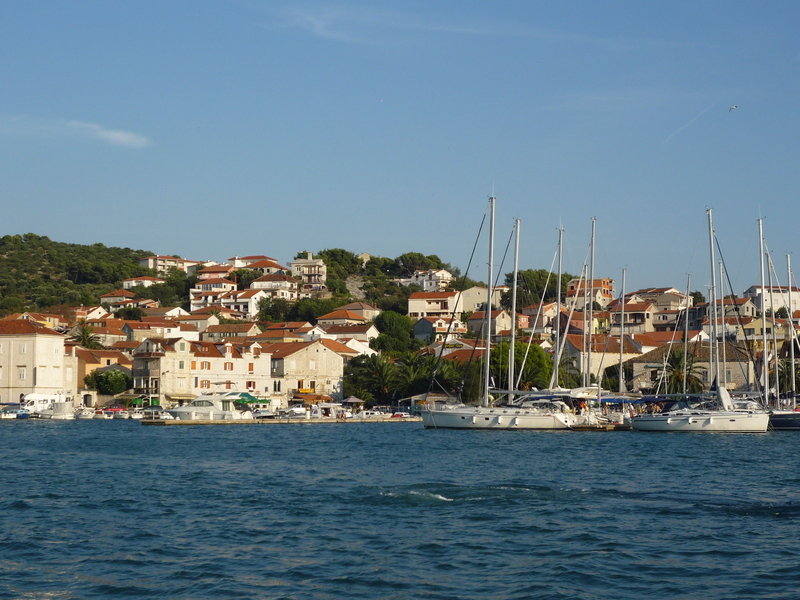 To visit Hvar Island, you can catch a ferry from Split to Stari Grad. The journey will take 2h, and will cost around 6EUR. (Please note that there are few ferries per day, so make sure to check the timetable and book your ticket the day before). Tickets can be purchased at the port, there are signs everywhere to get to the right counter and the right ferry. 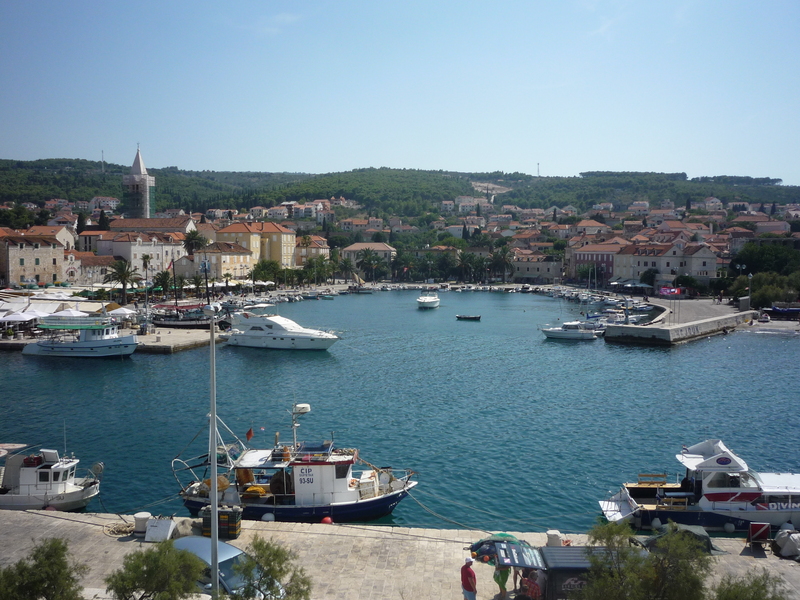 Hvar and Stari Grad are two beautiful towns in Hvar Islands. 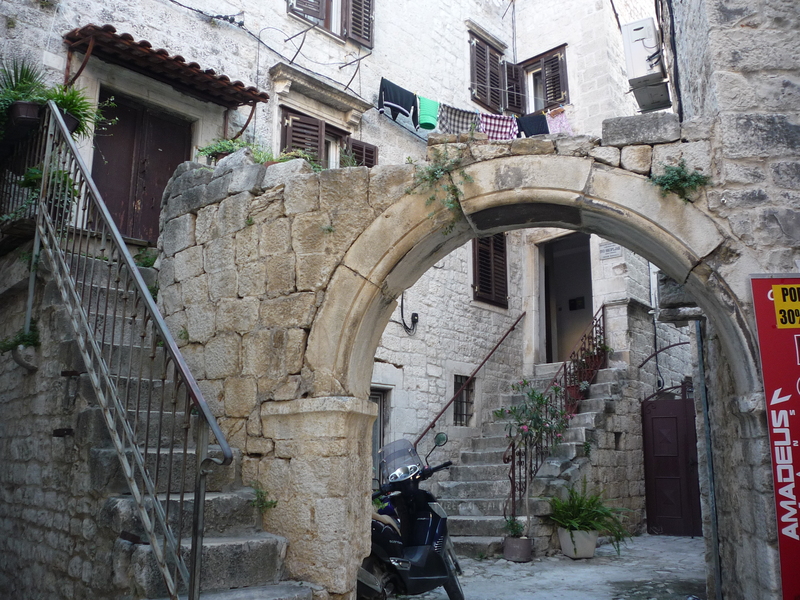 Hvar is more live and dynamic, whereas Stari Grad is more quiet. 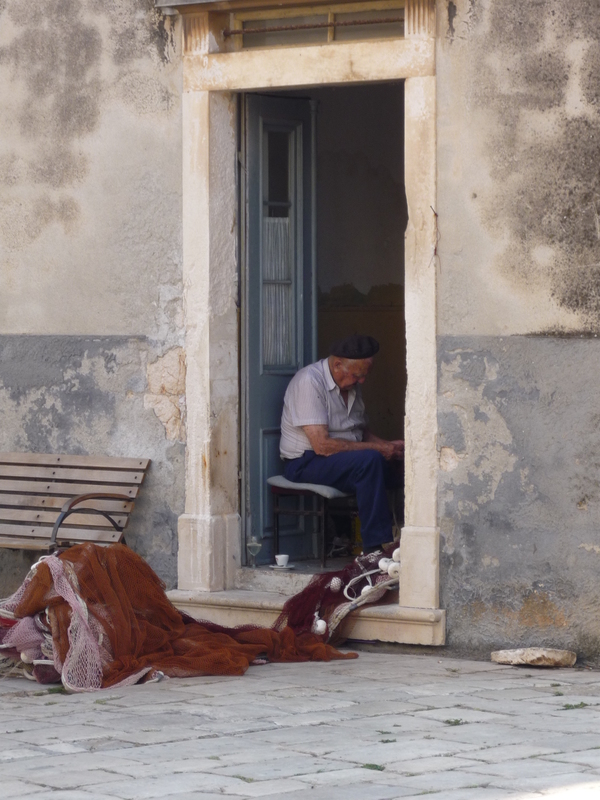 You can have a tour in the main square, along the coast, and then explore the old town. To get to Brac Island, you can catch the ferry from Split to Supetar. The journey takes 50min (Please note: there are few ferries per day, so be sure to check the timetable and book your ticket the day before). Tickets can be purchased at the port, there are signs everywhere to get to the right counter and the right ferry. 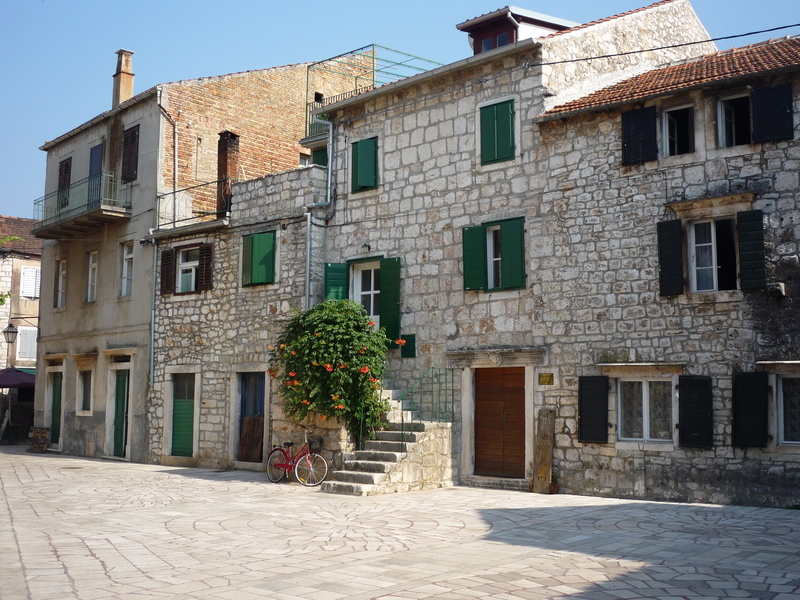 Supetar is a very nice town in Brac Island. You will arrive directly in the center and from there you can have a walk along the coast and admire the landscape and enjoy the sun! The walk will take you 2 or 3 hours maximum. 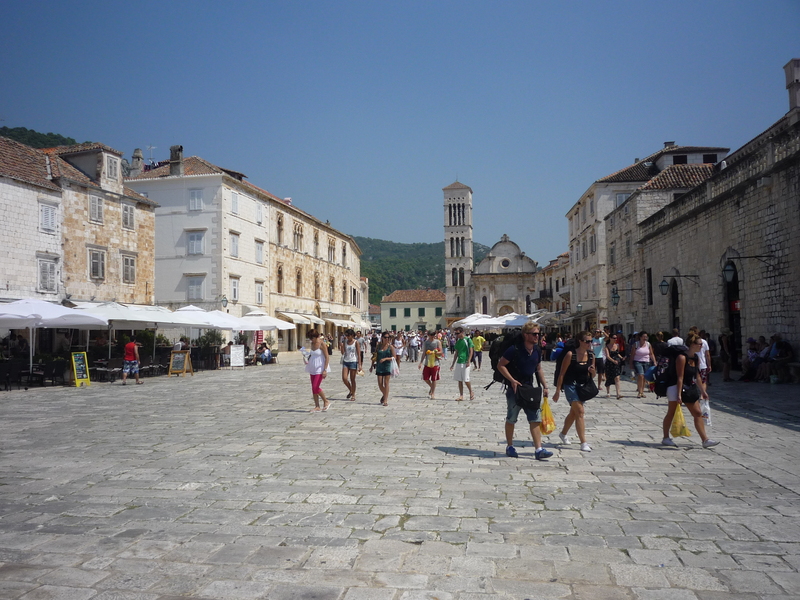 In the afternoon, you can go back to Split and head to Trogir. To get to Trogir, there are small boats departing in front of the main entrance of the Diocletian Walls, the journey will take 30mins. 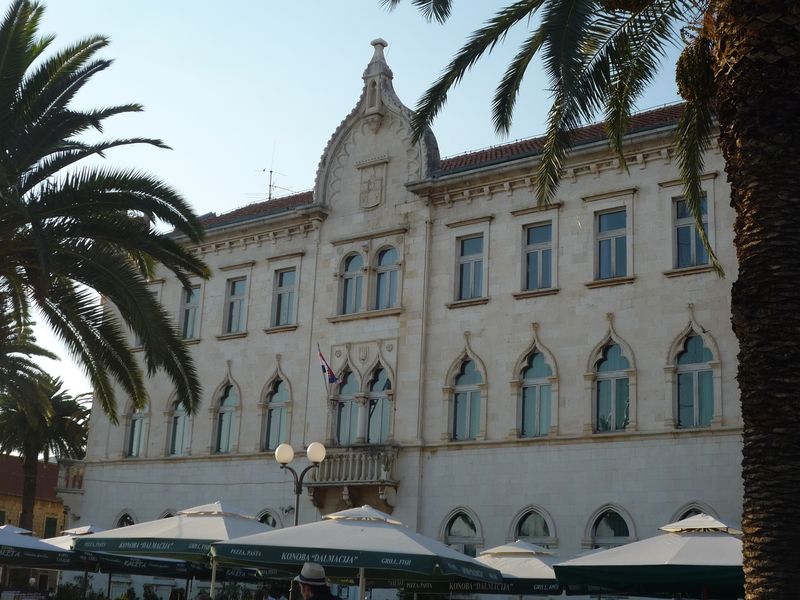 Otherwise you can take a bus from Split Bus Station ( in front of the port, where you will arrive from Supetar) to Trogir Bus Station; buses run more often than the small boats and take around 30-40mins. 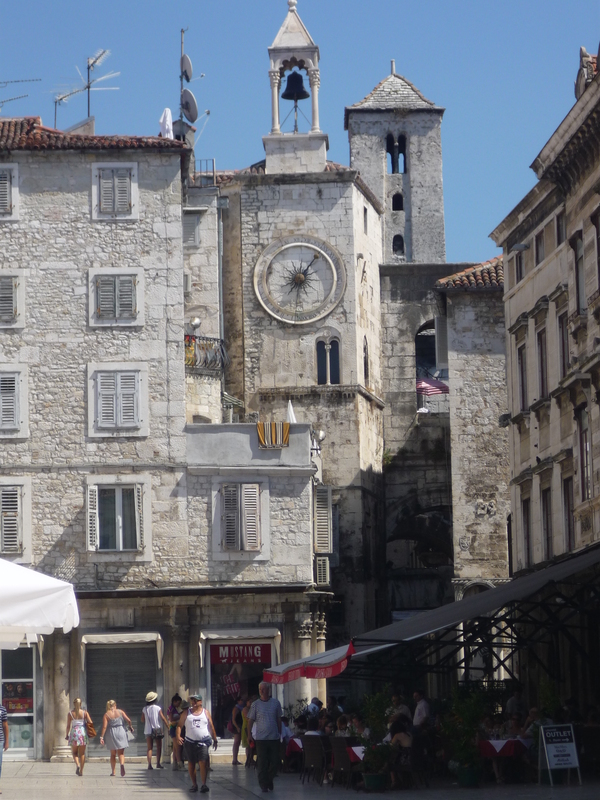 Trogir is a jewel of the Adriatic coast. Once you get there, access the old town through the main gates. 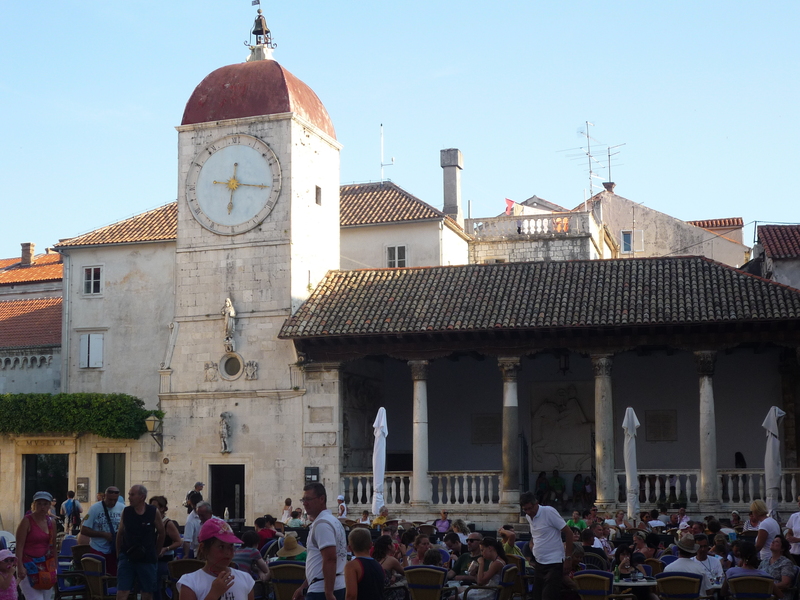 Compared to the other cities, I would say Trogir has a Venetian touch, in its old and elegant architecture and colors. Outside the walls you can have a walk along the coast and admire several yachts coming from the European jet set. Trogir is indeed considered a sort of St Tropez for Croatians, very clear in the big and elegant seaside, the yachts and the fancy cafes.